A crane reaches into the center of circles. 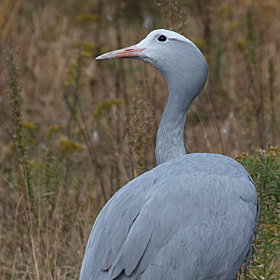 The beautiful Blue Crane is native to South Africa, but a pair lives at the International Crane Foundation in Wisconsin. 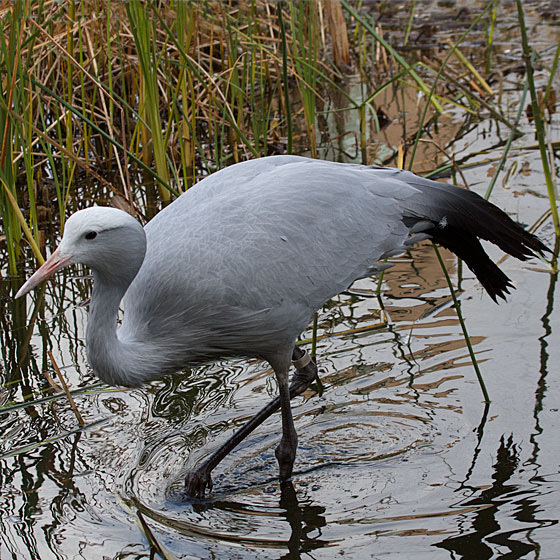 There are only 15 species of cranes in the world. 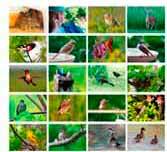 Many of them are endangered, and some are barely holding on. 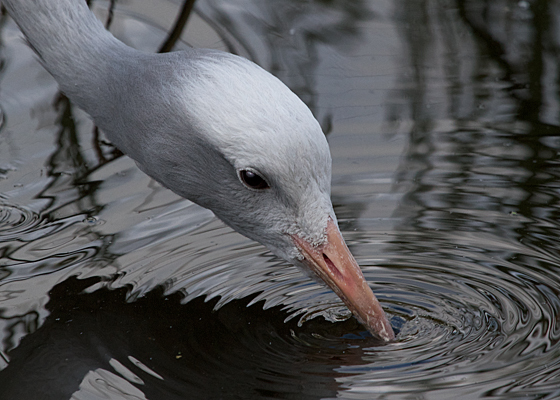 The International Crane Foundation works to help save the cranes where they are native. 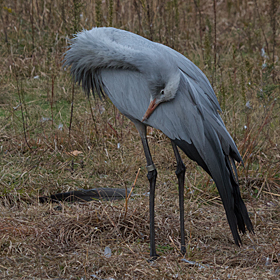 The Foundation is also working to educate the public about cranes. One of their programs lets people see all 15 species at the center in Wisconsin.